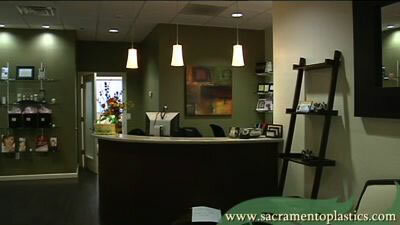 DR. CHARLES PERRY: When you come in to the office you should experience a relaxed, comfortable environment. It’s discrete. It’s quiet. When you come in you’ll be greeted by our front office staff. They will have some forms for you to fill out. If you are thirsty you can have some water. We want to make sure that you are comfortable and you’d like we have TV to watch. Afterwards you’ll be taken to an exam room and there you can sample different options of different procedures, look at before and after pictures, ask all your questions. What’s nice about our office is we have several different types of exam rooms, from a procedure room where we can do things such as laser and injections to an exam room for the breast and the body to a face consult room. We even have an operating room as well. There’s a room that we have to relax in with a massage chair. The office is set up for your comfort and for discretion as well. Your needs will be met and we’ll do it in a comfortable, confident way.